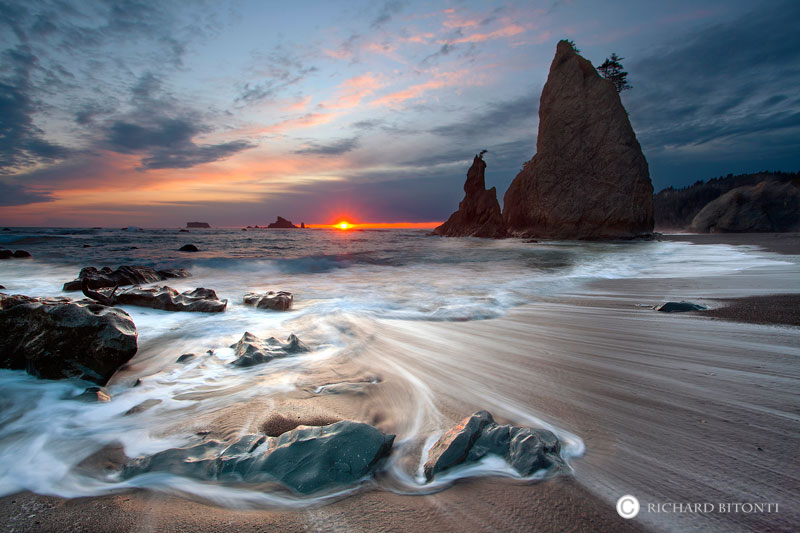 The sun slowly dips below the horizon at Rialto Beach on the western edge of the Olympic National Park.The coastal portion of the park is a rugged, sandy beach along with a strip of adjacent forest. It's dotted with sea stacks and impressive rock formations. Photo © copyright by Richard Bitonti.